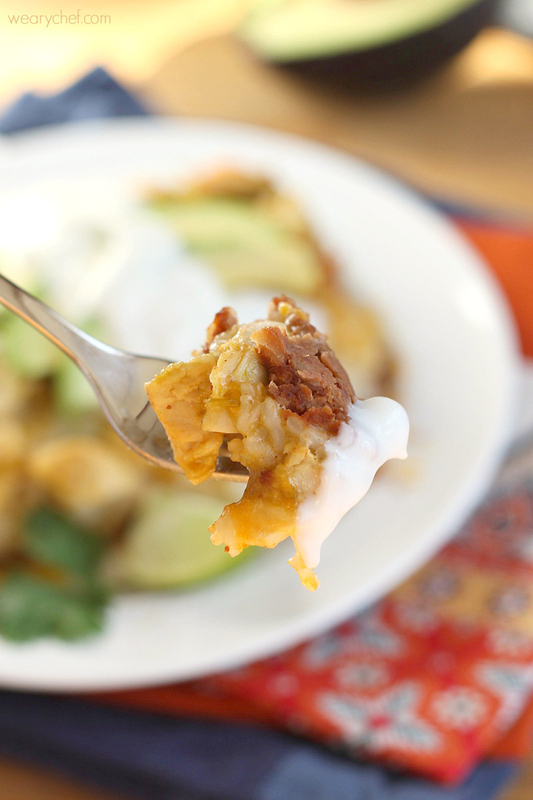 This casserole is much easier to make than regular enchiladas but has all the flavor you love! This dinner is so satisfying and good. 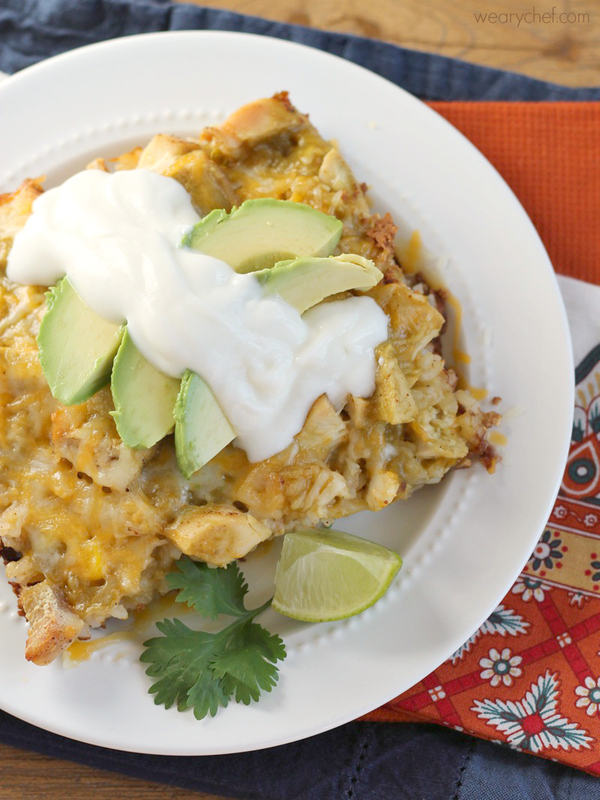 It’s got all the Mexican flavors I love, but it’s simpler than making enchiladas. I liked the rice substitution a lot, and this recipe would actually be good for using up leftover rice and/or cooked chicken when you have those on hand. It’s also born for potlucks because it’s crowd pleasing and easy to transport. This one will be making a repeat performance at our house very soon. I hope you enjoy it too! 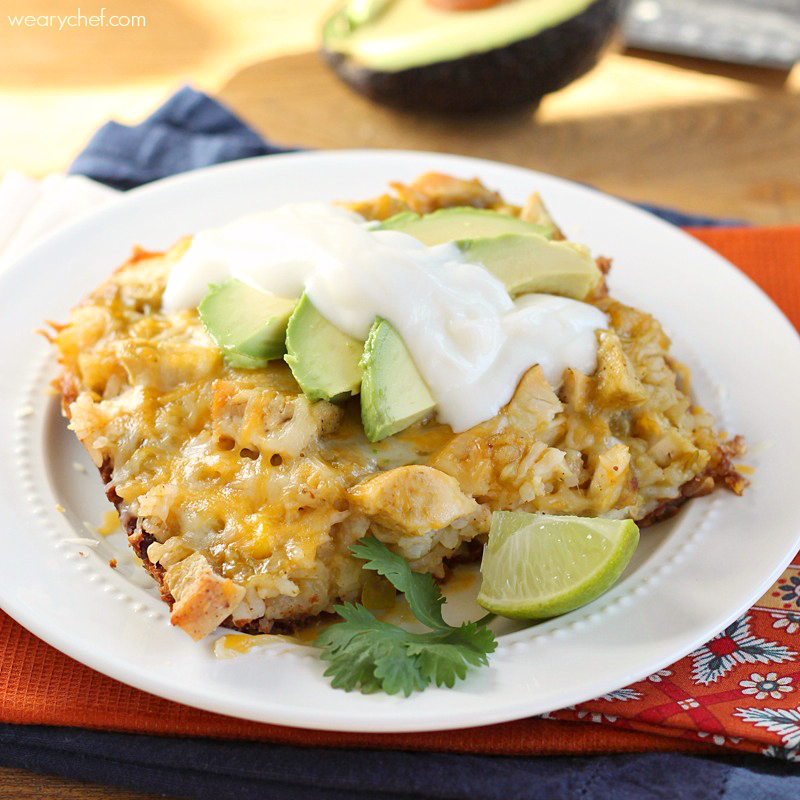 Get the full recipe of this Chicken Rice Enchilada Casserole from wearychef.com!